If you are waking up in New England this morning, you may think you overslept and woke up in Antarctica. It’s probably pretty chilly, too in Denver. Just saying as the Patriots won that game in overtime and it wasn’t looking good in the beginning. 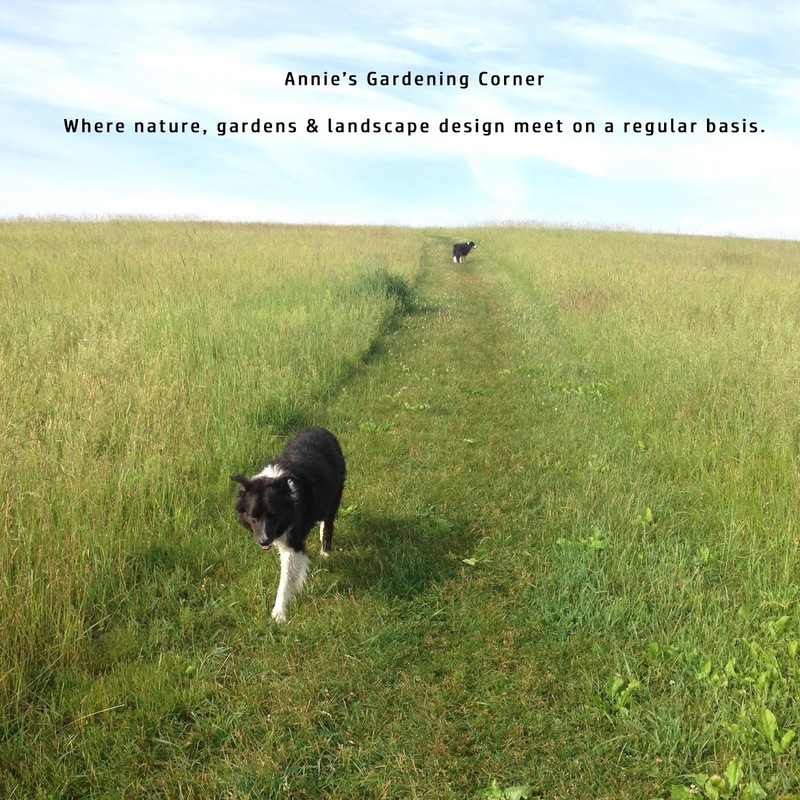 But back to the #gardenchat for this Monday before Thanksgiving. With the soil locked up solid, chances are most of your pots and shovels are tucked away in the garden shed. No worries, though. Need some instant sunshine? There are plenty of bulbs perfect for planting indoors. Plus they make awesome holiday gifts. So here’s a blast from the past of the Annie archives. This last minute fall shopping list of bulbs thrive in the indoors during these chilly dormant months when color is desperately needed. There’s also pot size and tips for planting so this post is worthy of another look. For those who follow on a regular basis, yes, this is day 7 of 26 Days of Kindness. Today we honor Madeleine F. Hsu. She loved those simple things we take for granted - to read, run and dance. So to honor Madeleine, today’s post is a bit more fun and uplifting. It’s like the 7th inning of a baseball game, when we all get up and take a stretch. But that doesn’t mean we are off the hook. There’s a game to finish. There are more days ahead and acts of kindness that can only help with the healing in Newtown, CT. Bringing some sunshine in honor of Madeleine can only keep the warmth and kindness spreading. Plus, if you made it through yesterday, today is just a tad easier. There’s a lot less wind. That is why I picked today’s archived image. 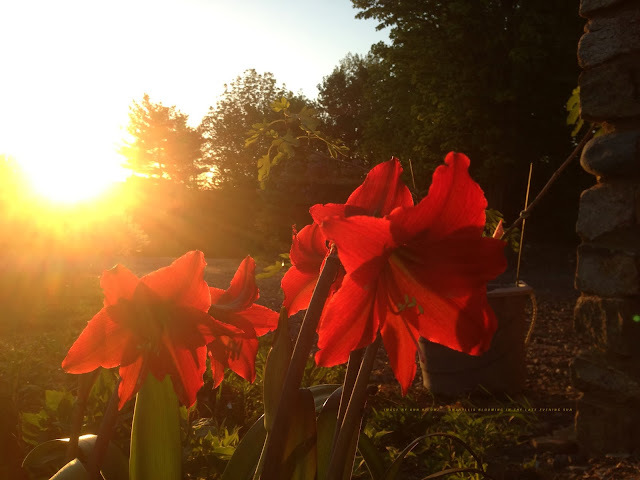 It is an Amaryllis blooming outdoors in the late evening sun this past summer. Looking out the window today, you might be deceived. The sunshine is bright but the minute you open the door, the frigid air hits you. There is no escaping it. It is cold outside. So as we gaze upon our exterior landscape, the ground may be frozen but we can still plant seeds, bulbs, or perform a simple act of kindness. Bring the sunshine indoors. Do it in honor of Madeleine. Read, run and dance. It is amazing the sunshine you might bring to someone who needs it. Here is the event and FB page to bring extra rays of sunshine to Newtown, CT before Thanksgiving. The holiday seasons, though we expect them to be full of cheer are often the most difficult to work through so never underestimate the power of a simple act of kindness. It may be those simple things we take for granted - to read, run, and dance. As Voltaire once said, “Let us read and let us dance - two amusements that will never do any harm to the world.” Nor will an act of kindness. Sorry Madeleine, there are lots of words. But I know you liked to read. Hope you like today's flower.